It is one of his favourite weeks of the darting calendar, but the title is still missing from his CV. 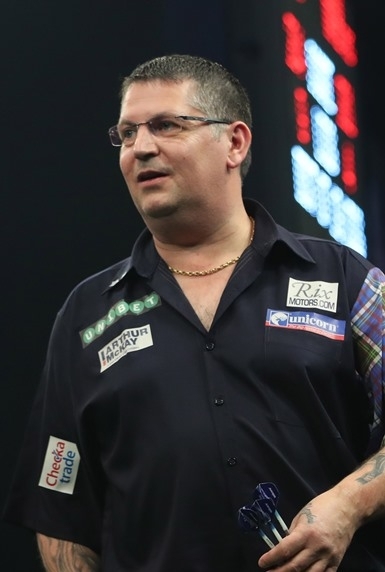 Team Unicorn star Gary Anderson is a huge fan of the Grand Slam of Darts and despite winning the World Championship, World Matchplay, UK Open, Players Championship, the Premier League and the Champions League, the GSOD has eluded him. “I love the Grand Slam having played in the tournament from the start, so it is frustrating for me that I haven’t been able to win one! It will be very different not being at the Wolverhampton Civic, but I will be ready,” he said. The Wolves Civic is being renovated, so the tournament will be staged at Aldersley Leisure Centre. Anderson, who has lost in a Grand Slam Final, is the top seed in Group D alongside fellow Unicorn ace and good friend Ian White, qualifier Steve Hine and BDO German debutant Michael Unterbuchner. In all seven Unicorn players will head to Wolverhampton this weekend. Newly crowned European and World Series Champion James Wade is in Group C with fellow Unicorn man Keegan Brown, who came through Monday night’s qualifiers. Brown enjoyed his best ever run in a TV ‘Major’ when he reached the Grand Slam quarter-finals in 2014. They’re joined in the group by Mark Webster and Dutchman Wesley Harms. Michael Smith will bid to put his World Series heartbreak behind him. In Group B he will face Raymond van Barneveld, Krzysztof Ratajski and Adam Smith-Neale. Group H features two Unicorn players.....World Youth Champion Dimitri van den Bergh and BDO No.2 Mark McGeeney. They take on Rob Cross and qualifier Ryan Searle. By the way, in the qualifiers there was huge disappointment for Team Unicorn Aussie Kyle Anderson who missed five match darts to beat Searle in the final game to win through to Wolverhampton.